I last visited Mongoose a few months ago, when he was delighted to welcome me to the visitors’ booth of Klong Prem Remand prison four times for some lovely chats. He invited me back “around August” to talk more book stuff. Now, Mongoose had told me that messages like this could mean prisoner has had quota of visitors for the week, prisoner not allowed to see visitors, we could not find prisoner, or possibly prisoner doesn’t want to see you and is too polite to say so. On the day of my second attempt, I heard the news that another Canadian dark web drug kingpin had been found dead in his Thai cell the previous day. Alexander Cazes, aka Alpha02, owner of AlphaBay, was an apparent suicide-by-towel. Related to Mongoose’s sudden reluctance for visitors? Who knows, but I didn’t try him again. I met up with the Grugq to talk about the AlphaBay affair and wound up out in the red light district of Bangkok. As he fielded text messages admonishing him for hanging with “the press”, there were undoubtedly opsec failures on both our parts all over the place that night. But Bangkok is a forgiving city. There was probably nobody on this trip I was more excited to meet than the formidable, incredible LaMoustache, Keeper of the Silk Road Timeline, dark web super-sleuth and researcher extraordinaire. He did not disappoint. We met for a drink at a funky Hoxton pub, then he came back to the apartment of the friend who was hosting us. When I was unable to keep up with the drinking shenanigans (read: passed out on the couch) LaMoustache took my partner out clubbing and returned him to me just before dawn and very much worse for wear. Deku, aka Pirate London, once had a car torched in his honour by Besa Mafia, the dark web’s most successful ever murder-for-hire outfit. Since then, things became even more dramatic for Deku, but no spoilers. We met in London for a very civilised dinner and drinks, as our long-suffering partners listed to us talk hitmen all night. My first book, Silk Road, was optioned for a TV series a couple of years ago. Since then, there’s been scripts written, meetings with Hollywood network execs and all sorts of author stuff-of-dreams, but I’ve learned things really blow hot and cold in TV-land. It was nice to get to hang out in the oh-so-cool Soho House. My trip coincided with the Court of Appeal hearing for Gary Davis, alleged to be Silk Road’s Libertas. The USA has been trying to extradite Gary from Ireland since his arrest in December 2013. He has been doing it tough, but this was a good day – a decision on extradition was stayed for at least another few months. Drew Jones, who was arrested the same day as Davis and SSBD (who I met way back when he was released from prison), went for the guilty plea and has been kept in limbo awaiting sentencing ever since. He’s not wearing an ankle bracelet any more and we were able to go out for drinks and dinner. Ahead of the trial of the first ever dark web murder-for-hire case, I spent a week talking to friends of the deceased, law enforcement types, journos, neighbours and lawyers, as well as going to church. This case is subject of a Dateline and likely to spawn a number of movies, mini-series or Law&Order episodes. 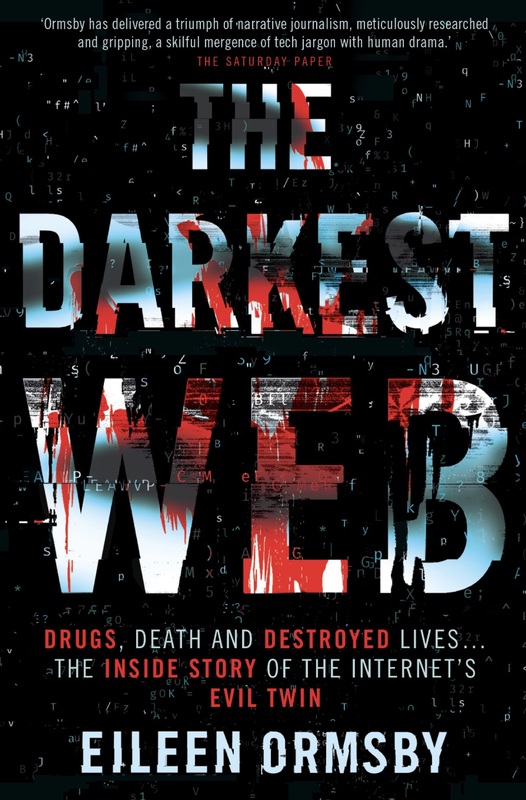 Depending on what my publisher thinks of the first draft, Darkest Web is due out early next year.